Want to be part of the fastest growing Pro-Palestine organisation in the UK? Want to be part of a creative, dynamic and passionate team? Volunteer with FOA and help make a difference! Millions of pounds are donated in aid every year to help the humanitarian crisis in Palestine. However, as long as the occupation continues the humanitarian crisis will remain. 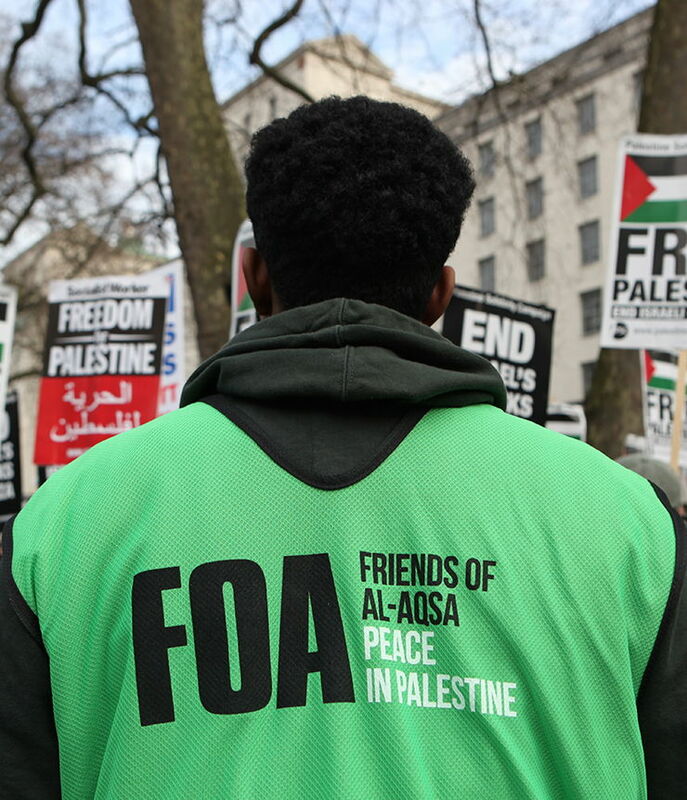 By donating to Friends of Al-Aqsa you will be helping the efforts to bring a political solution to end Israel’s illegal occupation. This means Palestinians can live their lives in dignity without needing to rely on charity. Prefer to donate via bank transfer?